I've been using the No7 Beautiful Skin Hot Cloth Cleanser for two weeks now. I was looking for something to calm my skin down after the stress of dissertation deadlines and exams. I've changed my daily facial skincare routine and dramatically cut down the amount of products I use. Alongside this cleanser, all I've been using are makeup wipes and Johnson's Daily Essentials Day Cream whilst popping some Sudocrem on any blemishes at night. 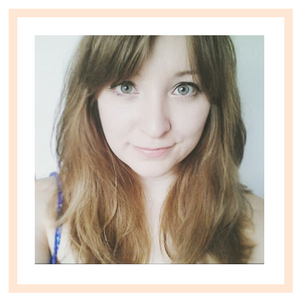 This regime was inspired by Florence's post on gentle skincare and my skin is loving it! The cleanser is hypo-allergenic, so it's suitable for sensitive skin. The packaging assures me that the product is suitable for all skin types. Initially I was a bit sceptical about using a cream cleanser as I have oily skin and in the past have been advised to stick to foam and gel formulations. However, I've had no problems at all and if anything my skin has become very slightly less oily! The application of the cleanser is different to any I have previously used, as you apply it directly to dry skin. It feels really soothing as you smooth the cleanser onto your face. You then run the cloth under hot water and place it over your face to open pores, then gently polish off the cleanser. I've read that some people have found the cloths to be a little scratchy, however I find the level of exfoliation to be fine for my skin. The cleansing process is finished by splashing cold water over your face to close pores. I find the whole routine to be very calming and it's perfect for winding down at night. I did test the cleanser's ability to remove a full face of makeup and it did a perfect job, even with mascara. However, I use it after I've taken off my makeup with a wipe to make sure my skin is squeaky clean! The only downside is the cost, it retails at £10 for 200ml. This is more than I usually spend on a cleanser, however I used a £5 off voucher to get mine. Also, the product seems to be lasting a while. In the two weeks I've had it, I've used the cleanser twice a day and have used a quarter of the tube. So actually, this isn't really a downside at all! 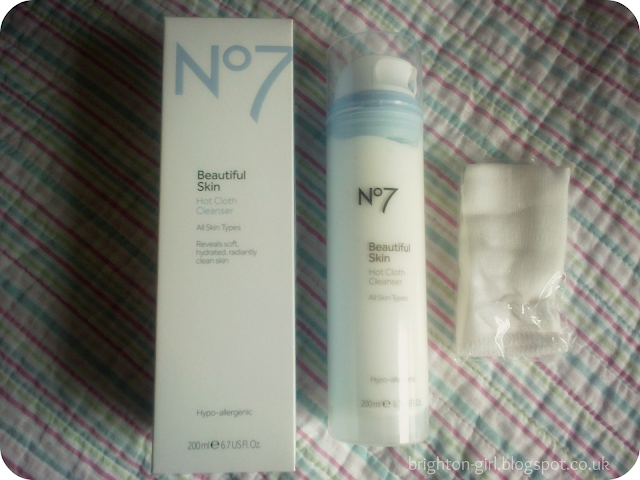 I'm so glad I tried out the No7 Beautiful Skin Hot Cloth Cleanser. My skin is brighter and clearer and is generally in better condition. Although I'm only a quarter of a way through my first tube, I've already stocked up with another! I also really want to try one of the No7 moisturisers. 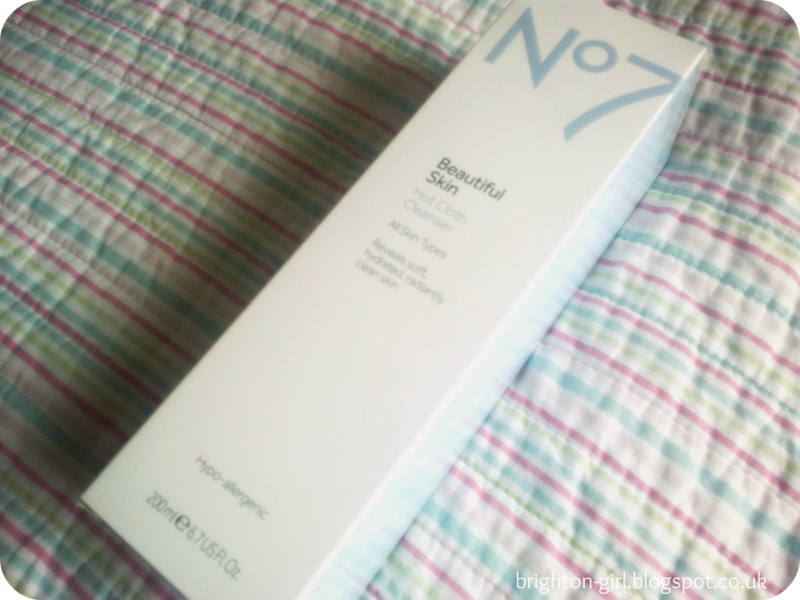 Have you tried any of the No7 Beautiful Skin range? I really want to try this, as I what to see if it works for me, before I think about trying the Liz Earle Cleanse and Polish! I think I was mainly put off by other hot cloth cleansers I've used previously, so I got this in a gift set for Christmas and have only used it a couple of times since I opened it. If you're seeing a result with more regular use though I think it might be worth giving another chance. Ooo i also have 1 of those £5 off vouchers (I love boots!) so i might have to try it.